When you arrive at home from the hospital, we know you have not fully recovered your self-care skills yet. It takes time to heal and if you need help recovering from injury, you can ask for assistance from our Occupational Therapists at Morrison Home Health. These services can be provided to you or your loved one at home. You can count on our team who shares your goal for continuous care and recovery. 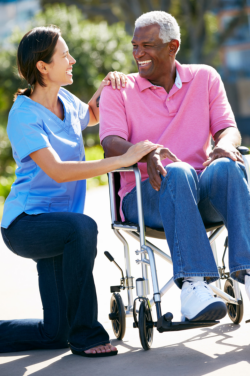 Please call 757-393-1300 for more information on occupational therapy.